In 1985 a small group of citizens gathered in a basement with the idea of forming a community theatre group in Howell. Thirty years later the Community Theatre is still going strong! There were a few other names prior to CTH such as “Mid-Michigan Performing Arts Company” and “Howell Community Theater” but the “Community Theatre of Howell” stuck. Each year CTH stages 4-5 performances ranging from a family musical with huge casts representing all ages to social commentaries to comedy. There is a place for everyone at CTH either on stage or behind the scenes. Our home is at the Freshman Campus of the Howell Public Schools where we rent a 400 seat theatre. Being community minded people, the needs of our youthful population were considered and led to the creation of the“Confederation of Intergalactically Talented Youth!” But as Star Trek lost it’s popularity (with some) the name was changed to “For Youth Opportunities Unlimited” and now is known simply as the “CTH Youth Theatre”. A School Show is presented each year cast with all youth and performed for groups of school children during the week and to the community on the weekend. And what would summer be without Theatre Camp for all ages including a Summer Stock program for HS and College aged youth and young adults! The Community Theatre of Howell conducts fund raising events each year in an attempt to keep the cost to participate in a performance and to attend performances in check. We park cars at the BalloonFest, we pass out registration material at community runs, and we have a Holiday Market. Basically, we do whatever it takes to keep the lights on and our patrons coming in the door. 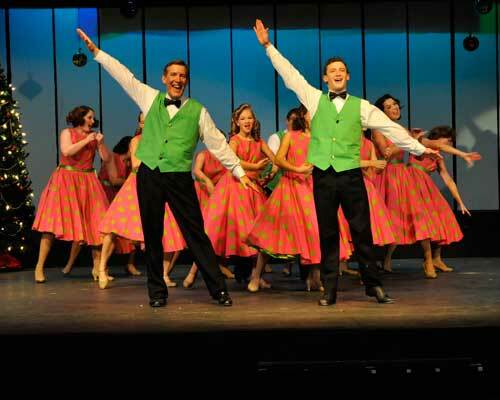 The Community Theatre of Howell has been providing the community with high quality stage productions for thirty years. We hope to be here for another thirty providing our community with opportunities to laugh, smile, cry and think.